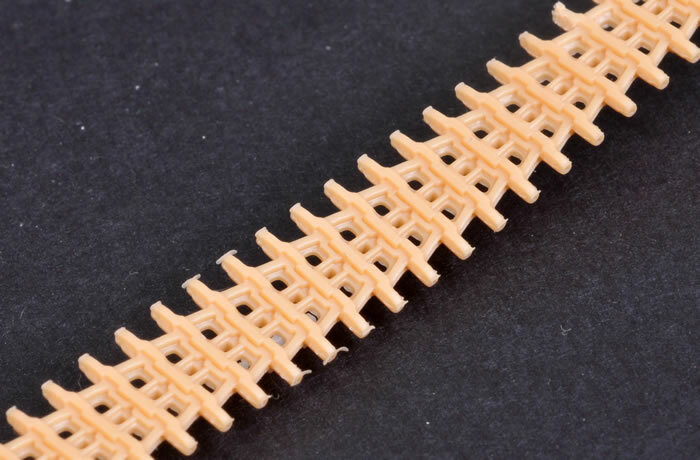 Advantages: Lovely delicate detail including authentic weld beads; excellent fit based on test-fitting major parts; intriguing subject matter; remarkable detail on DS tracks including hollow guide teeth. Disadvantages: A full set of Magic Link tracks would have been nice considering the heavy drape seen on the upper runs on the real vehicle. Last night Luke Pitt knocked on the door and brought in a plain cardboard box with an intriguing pile of parts. 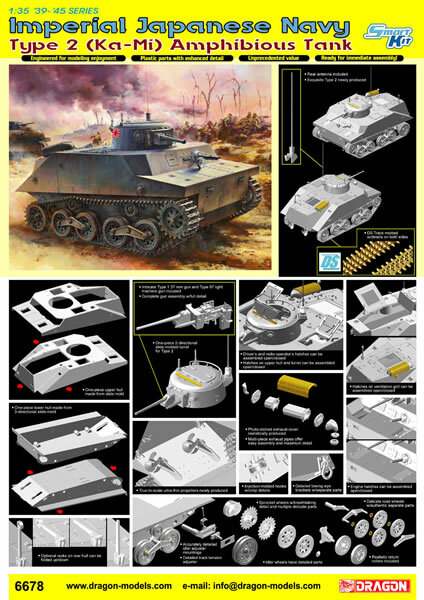 This was an early set of test-shot parts from Dragon's forthcoming 1:35 scale Type 2 Ka-Mi Japanese Amphibious Tank. 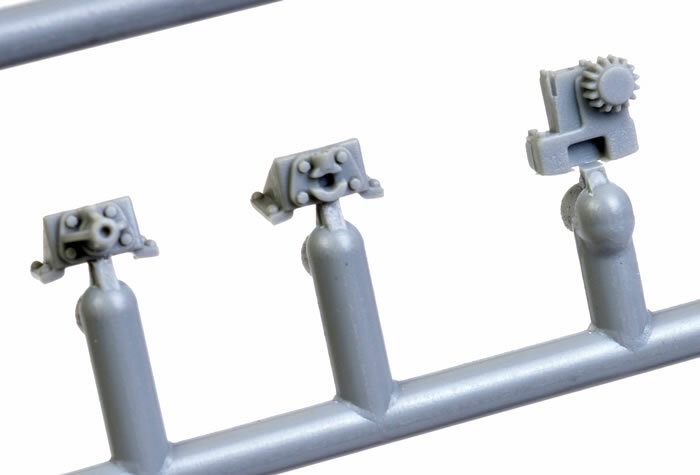 Please note that we have been advised that some changes have already been made to the sprues, so the production release will be slightly different. 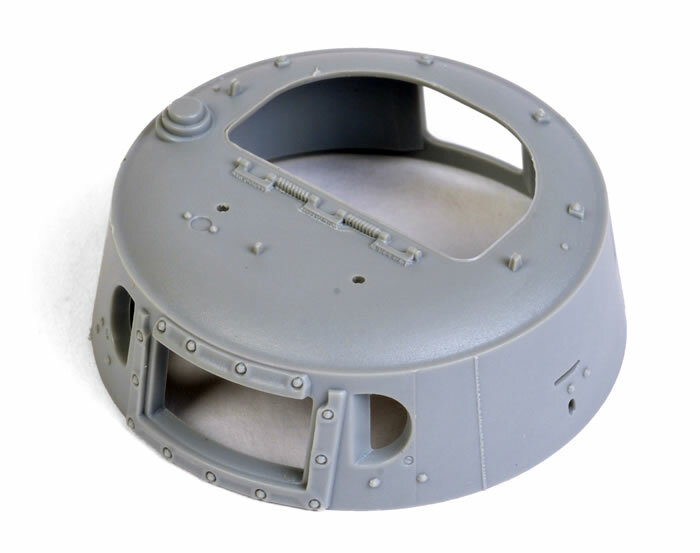 The kit as we have it comprises 189 parts in grey plastic, approx. 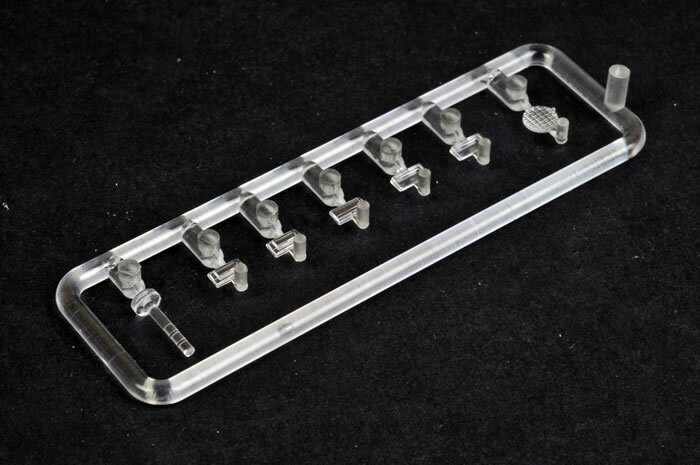 60 “Magic Track” single links, 22 etched brass parts on a single fret, 8 part in clear styrene, and two lengths of flexible DS track. 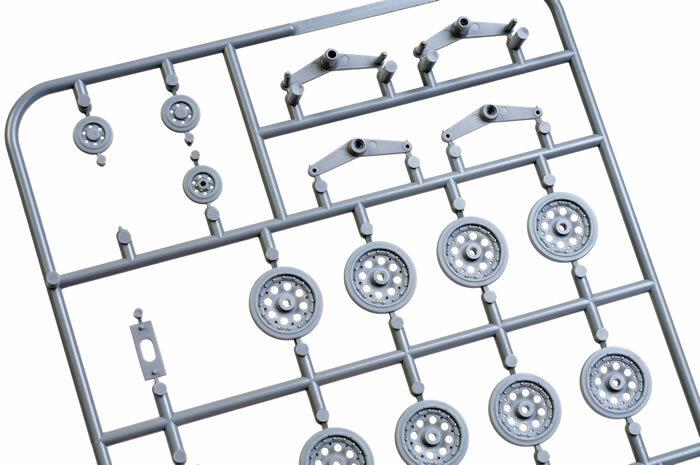 The sprues appear to be of full production quality, but the instructions, decals and box are not yet ready. The hull is split into upper and lower haves. The lower tub has sponson covers built in. The first thing to strike me was the vehicle's size. I usually expect Japanese tanks to be tiny, but this one is relatively big - perhaps Panzer III size and bulky to go with it. Closer inspection revealed the delicate detail moulded to the major parts. 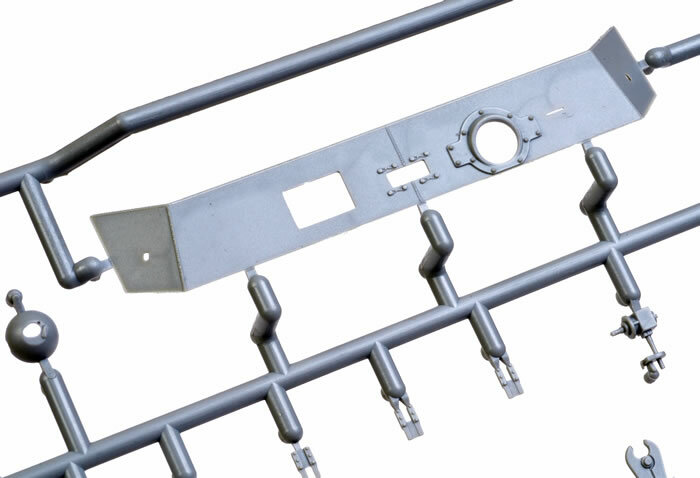 The weld beads are especially noteworthy. 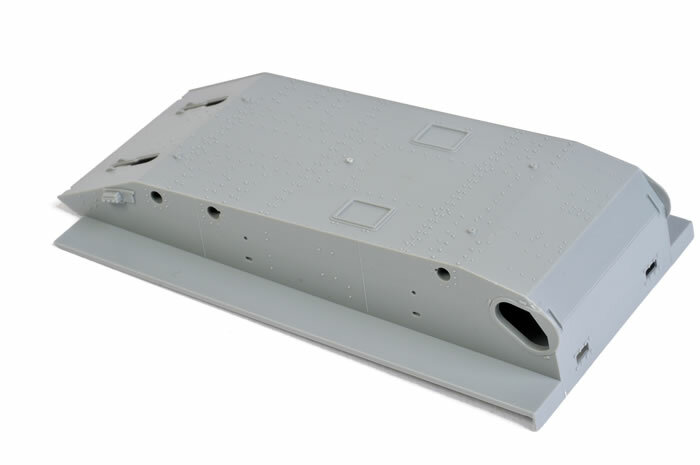 All hatches are moulded separately and may be posed open. 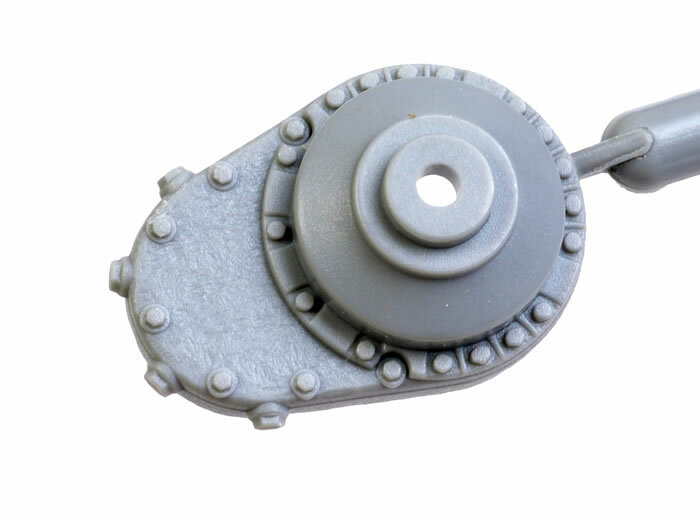 A basic level of interior detail is provided including a nice breech for the main 37mm gun, and a bunch of circular handles, although these lack the characteristic scalloped grips seen in reference photos. 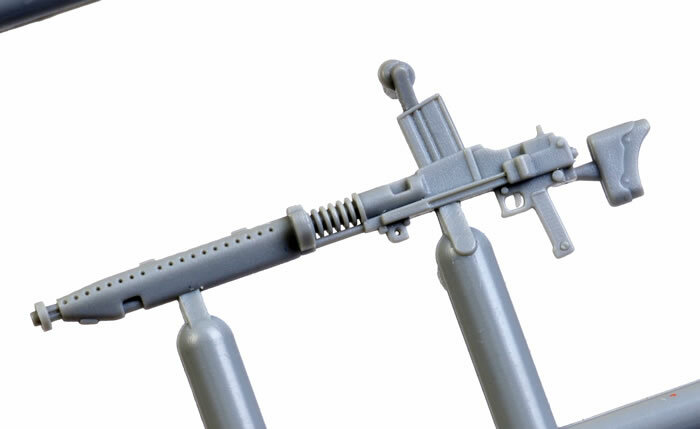 The Type 97 Light Machine Gun is a beautiful one-piece moulding. 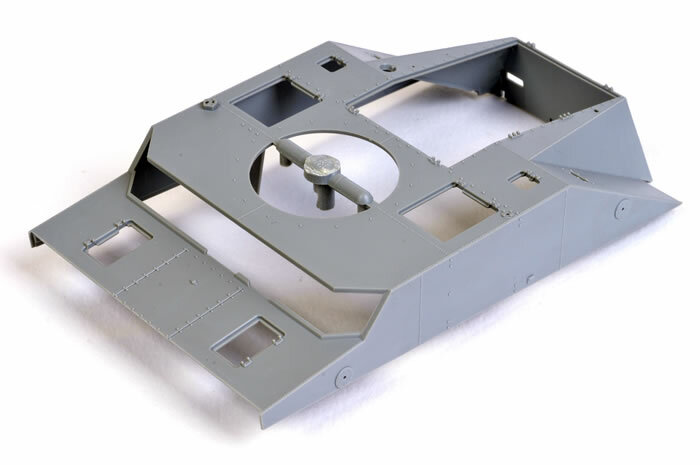 The upper turret is a one-piece moulding with excellent hinge, spring, weld and bolt detail plus admirably thin edges at the hatch opening. 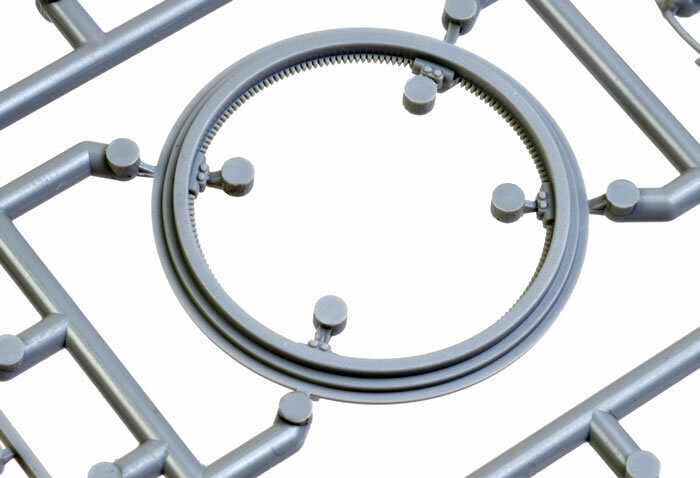 The traverse ring on the lower turret part features fine teeth moulded in place. Running gear is simple but once again beautifully detailed. 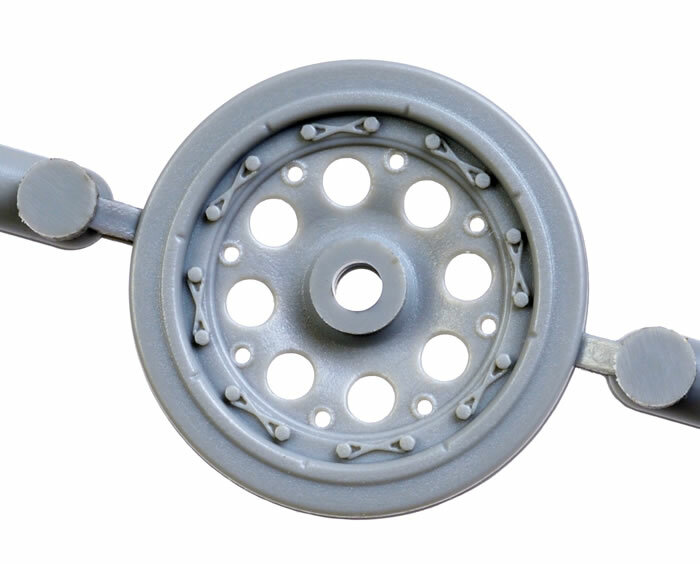 The roadwheels even feature the figure-of-eight locking wire between pairs of bolts as raised mouldings. The cast texture on the final drive housings is well done too. 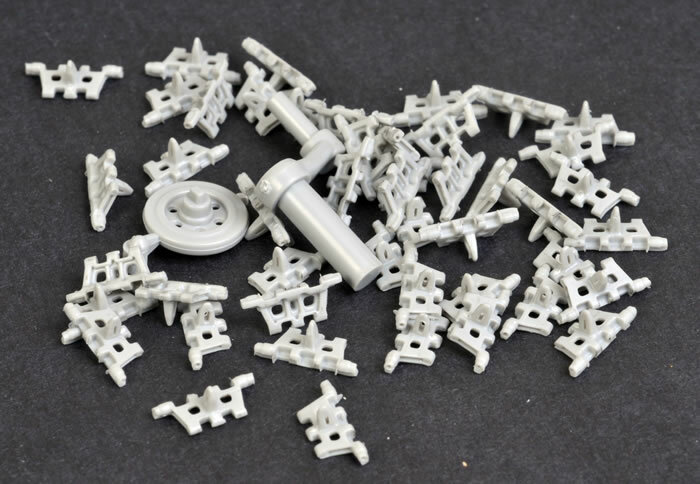 There is a small bag of georgeous individual Magic Track links, but with only around 60 pieces these will not be even close enough for a single track run. 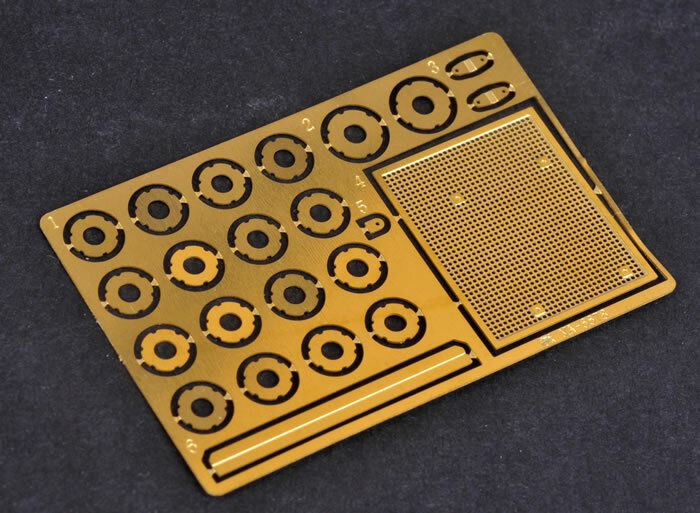 It is likely that these will not be included with the initial kit release. The production kit will be supplied with full-length flexible DS tracks. 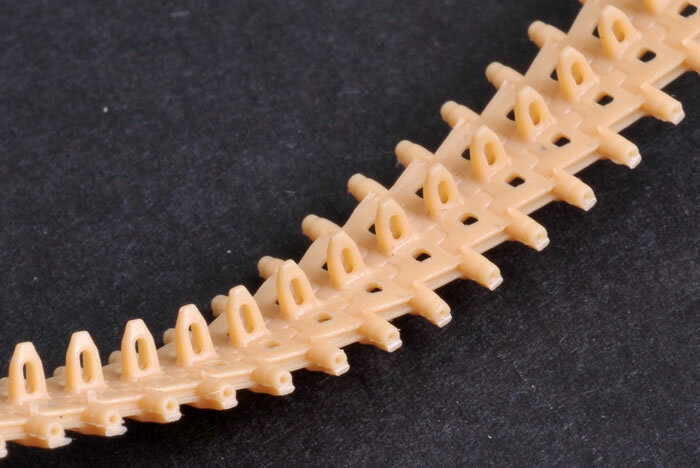 On the upside, these are remarkably detailed, boasting detail right down to the holes in the guide teeth and track pins; and they will be fast to install. 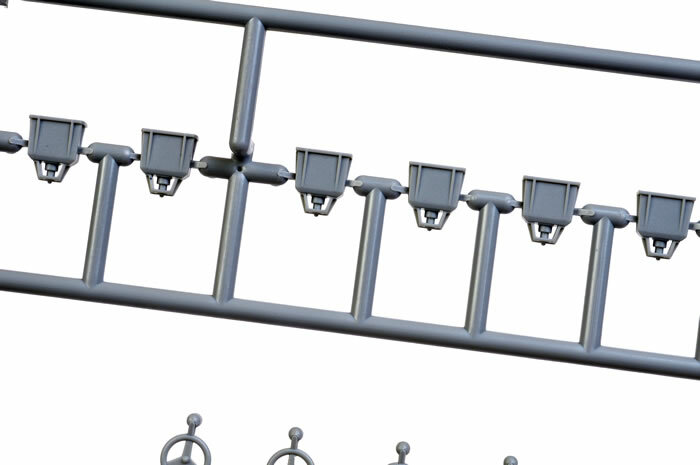 On the downside, it will be next to impossible to reproduce the heavy drape seen on the upper runs on the real vehicle using the one-piece tracks. 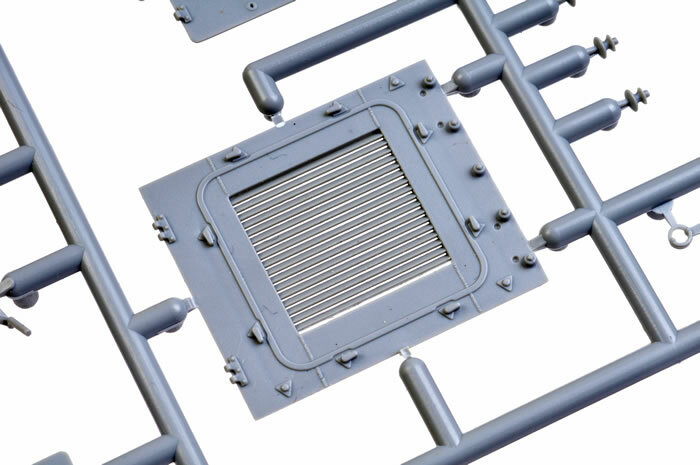 Photo-etched parts include the perforated exhaust cover and wheel grommets. I test fitted the upper and lower hulls, as well as the turret parts. They appear to be a nice tight fit and free of gaps or steps. Dragon really seems to be onto a winner with this vehicle. The relatively modest parts count has not compromised exterior detail, which is exquisite. That big interior screams out for after-market attention both in the fighting compartment and in the engine bay. I am sure it won't be long before a resin company obliges. 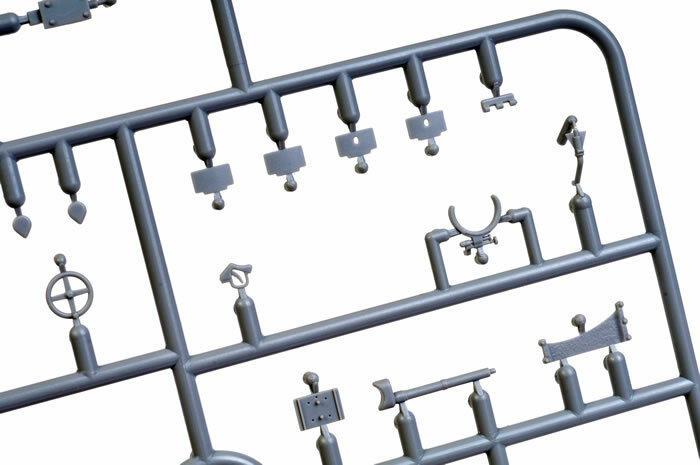 Some of the parts - particulary the clear sprue - point to other variants in the works too. Luke grabbed the sprues back before the flash tubes had cooled. He tells me that this will be his next build. I look forward to seeing Dragon's Type 2 Ka-Mi finished in Luke's inimitable style!